Last week on Thursday SPX penetrated an important trend line support (line connecting lows of Oct 2014, Aug 2015 and Sep 2015), then rallied intraday and closed above it. 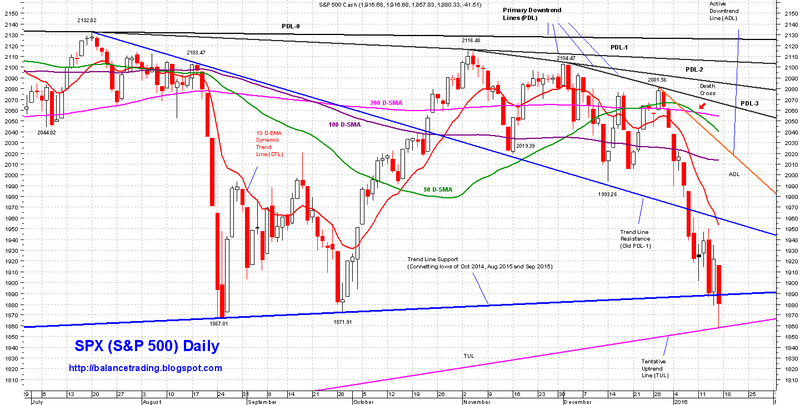 On Friday SPX tested that line again, penetrated it by more than 0.5% and closed below it. 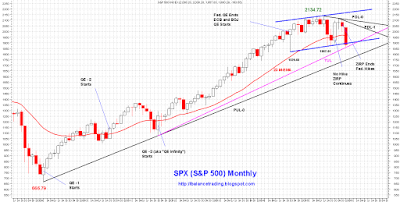 That is awfully bearish and signals more selling ahead. 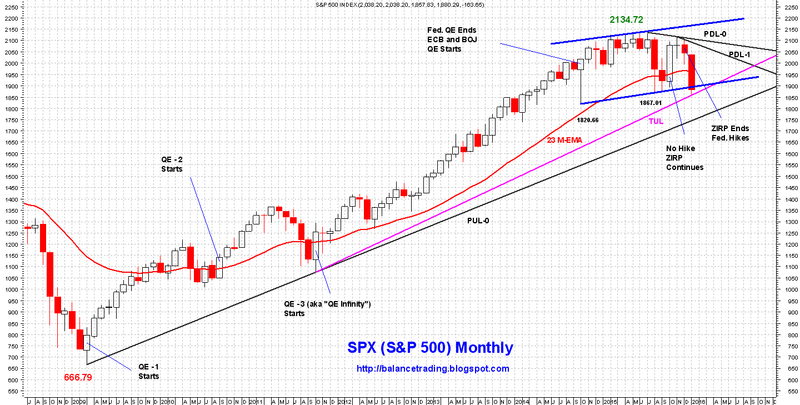 Also last week, SPX, on its monthly chart, broke through its 23 M-EMA (thick red on monthly chart above) and began trading below it. Since March of 2009, every time SPX has closed (on monthly basis) below its 23 M-EMA, the Fed intervened either by announcing a new round of QE or continuing with their ZIRP (Zero Interest Rate Policy). So if SPX closes below its 23 M-EMA this month, which is very likely at this point, it would be how dee doo dee time for the Fed, again :). More on that next week. Shorter term indices are extremely oversold, Chances are good that SPX, after possibly testing support at its TUL around 1860 on Tuesday, rallies higher on the back of a bear market short covering / profit taking rally to test 1920-1950 resistance zone sometime later in the coming week. 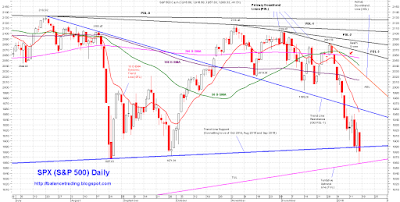 Last week on Monday, I covered my short positions in SPY. I'm 100% in cash now and planning to start opening short positions (3 short position in SPY) as SPX peaks around 1950.